Seasons of Grief Re-Cap-Thanks Fayetteville, Georgia! 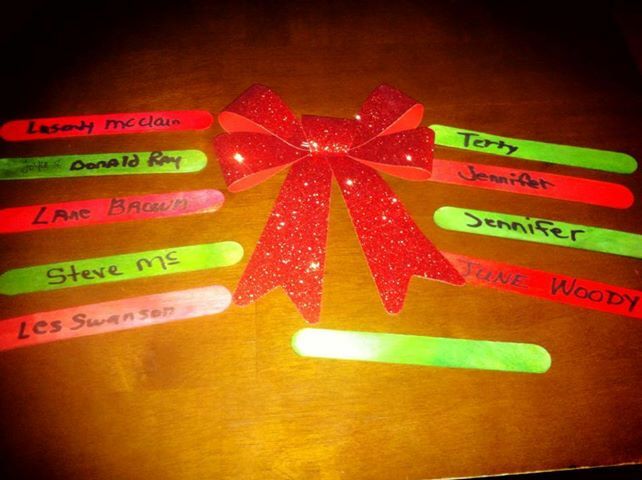 What an awesome night of remembrance, healing, and shared stories of loved ones that has passed recently. It was an honor to be in the presence of family members who were taking the necessary time out to permit themselves to grieve and understand the stages and tasks associated with the grieving process. The grief process is unique and just because we love God, we MUST take the time to go through the process of grief. 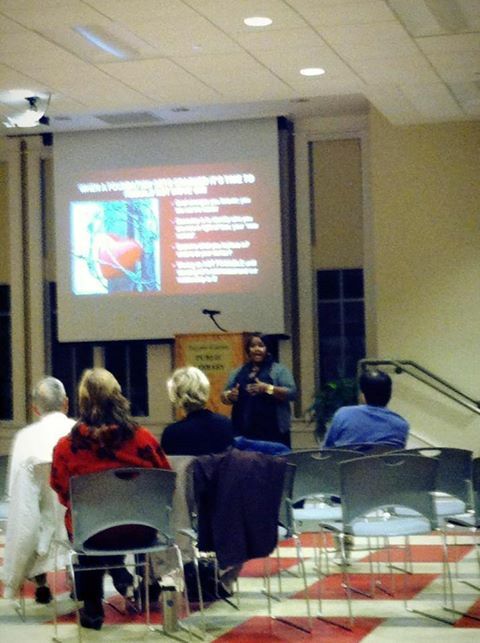 Last night, I taught on the Price of Unresolved Grief and why we need to acknowledge grief. People are still walking around attached to pain that happened to them years ago and are unsure how to go about releasing the pain; wondering what their quality of life will be without it; the pain that is. Many of the people there were newly grieved and I was honored to share in their process. ,we took the concept of the Memory Jar with Stones and adapted it to the season and used green and red sticks to allow the participants to write the names of their loved ones one them. Walking through the crowd, we took the time to allow moments for them to share stories of their loved ones and how they are coping. The stories of unconditional love and devotion were amazing. Despite the layers of loss, the atmosphere of peace was thick and it was apparent that the people in attendance felt the need to share and begin the process of healing. We look forward to being with everyone again in Fayetteville, GA on Thursday, December 5 at 7:00pm for Part II of the Grief Seminar: The Art of Grief. Come and bring a friend. We’re gonna laugh, cry, and paint our expression on paper. Interested in hosting Seasons of Grief in your City? Send inquiries to danitaogandagaventures@gmail.com. Individual Grief Recovery Programs and Sessions will begin January 2014! Stay tuned. 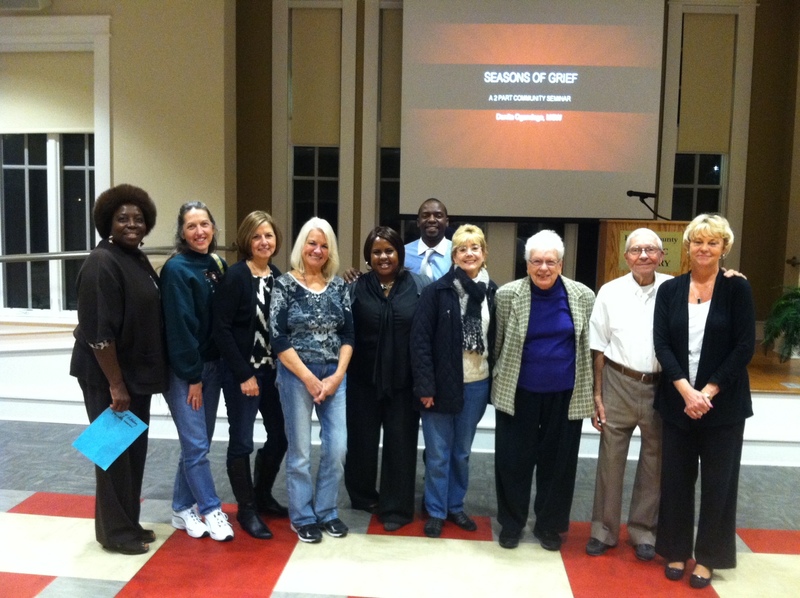 Pingback: Seasons of Grief Part II Seminar Re-Cap: The Art of Grief in Fayetteville, Georgia | Hope Starts Today!